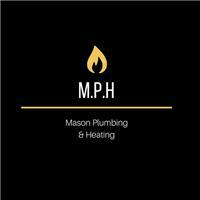 Mason Plumbing & Heating - Plumber based in Worcester Park, Surrey. I am a fully qualified Plumbing Engineer who undertakes all Plumbing works in domestic properties. Recently setting up my own business and joining Checkatrade with the aim to help grow and expand both my client base and business. Before this I worked for many years with a large Plumbing & Heating company based in London where I completed an intense apprenticeship, gaining all my qualifications whilst learning on the job. I pride myself on being personable, my high standard of workmanship and my honest approach to each job. Based in Worcester Park covering all areas of SW London, Surrey and surrounding areas. Please feel free to get in contact with me with any queries or questions you may have relating to your job.